Christopher Bishop is a Microsoft Technical Fellow and Director of the Microsoft Research Lab in Cambridge, UK. He is also Professor of Computer Science at the University of Edinburgh, and a Fellow of Darwin College, Cambridge. In 2004, he was elected Fellow of the Royal Academy of Engineering, in 2007 he was elected Fellow of the Royal Society of Edinburgh, and in 2017 he was elected Fellow of the Royal Society. At Microsoft Research, Chris oversees a world-leading portfolio of industrial research and development, with a strong focus on machine learning and AI, and creating breakthrough technologies in cloud infrastructure, security, workplace productivity, computational biology, and healthcare. Chris obtained a BA in Physics from Oxford, and a PhD in Theoretical Physics from the University of Edinburgh, with a thesis on quantum field theory. From there, he developed an interest in pattern recognition, and became Head of the Applied Neurocomputing Centre at AEA Technology. 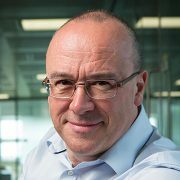 He was subsequently elected to a Chair in the Department of Computer Science and Applied Mathematics at Aston University, where he set up and led the Neural Computing Research Group. Chris is the author of two highly cited and widely adopted machine learning text books: Neural Networks for Pattern Recognition (1995) and Pattern Recognition and Machine Learning (2006). He has also worked on a broad range of applications of machine learning in domains ranging from computer vision to healthcare. Chris is a keen advocate of public engagement in science, and in 2008 he delivered the prestigious Royal Institution Christmas Lectures, established in 1825 by Michael Faraday, and broadcast on national television. 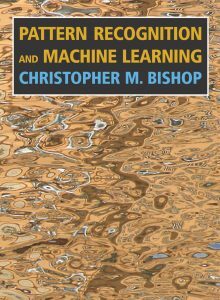 This leading textbook provides a comprehensive introduction to the fields of pattern recognition and machine learning. It is aimed at advanced undergraduates or first-year PhD students, as well as researchers and practitioners. No previous knowledge of pattern recognition or machine learning concepts is assumed. 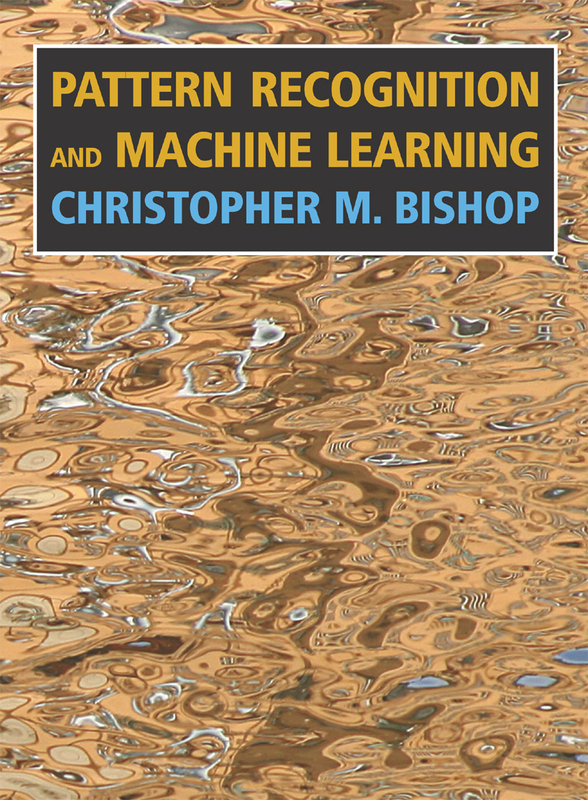 This is the first machine learning textbook to include a comprehensive coverage of recent developments such as probabilistic graphical models and deterministic inference methods, and to emphasize a modern Bayesian perspective. It is suitable for courses on machine learning, statistics, computer science, signal processing, computer vision, data mining, and bioinformatics. This hard cover book has 738 pages in full colour, and there are 431 graded exercises (with solutions available below). Extensive support is provided for course instructors. To view inside this book go to Amazon. A complete set of solutions to all exercises, including non-WWW exercises is available to course tutors from Springer. Slides for Chapter 1 (Introduction) in PDF, PowerPoint, and PowerPoint 2007 formats. Slides for Chapter 2 (Probability Distributions) in PDF, PowerPoint, and PowerPoint 2007 formats. Slides for Chapter 8 (Graphical Models) in PDF, PowerPoint, and PowerPoint 2007 formats. Contents list and sample chapter (Chapter 8: Graphical Models) in PDF format. Solutions manual for the www exercises in PDF format (version: 8 September, 2009). Complete set of Figures in JPEG, PNG, PDF and EPS formats, see below. A PDF file of errata. There are three versions of this. To determine which one to download, look at the bottom of the page opposite the dedication photograph in your copy of the book. If it says “corrected …2009” then download Version 3. If it says “corrected …2007” then download Version 2. Otherwise download Version 1. The book has been translated into Japanese in two volumes. Volume 1 contains chapters 1-5 plus the appendices, while Volume 2 contains chapters 6-14. Support for the Japanese edition is available from here. A third party Matlab implementation of many of the algorithms in the book. I’ve not tried this myself and cannot comment on the quality. Below are all of the figures from Pattern Recognition and Machine Learning (except for the photographs in Figures 4.8 and A.4). Copyright in these figures is owned by Christopher M. Bishop. Permission is hereby given to download and reproduce the figures for non-commercial purposes including education and research, provided the source of the figures is acknowledged. I am very grateful to Markus Svensén who has prepared these figures. The figures are available in JPG, PNG, PDF and EPS formats. Please note that many of the EPS figures have been created using MetaPost, which give them special properties, as described below. All figures are available in single zipped folders, one for each format. Many of the EPS figures have been created using MetaPost. These figures, which are marked (MP) in the table below, are suitable for inclusion in LaTeX documents that are ultimately rendered as postscript documents (or PDF documents produced from postscript, e.g., using Ghostscript or Acrobat Distiller). However, they are not suitable for inclusion in other types of documents, nor can they be viewed on screen using postscript screen viewers such as Ghostview; this usually also affects DVI screen viewers. Almost all other EPS figures have been produced using Matlab. Several of these contains LaTeX fonts and this confuses postscript screen viewers such as Ghostview, to which the EPS figure appears to be missing its bounding box. However, these figures will still display on screen and the bounding box will be picked up correctly when these figures are used in LaTeX.